Our bikes are the quickest mode of transport in town, they are practical and fun! 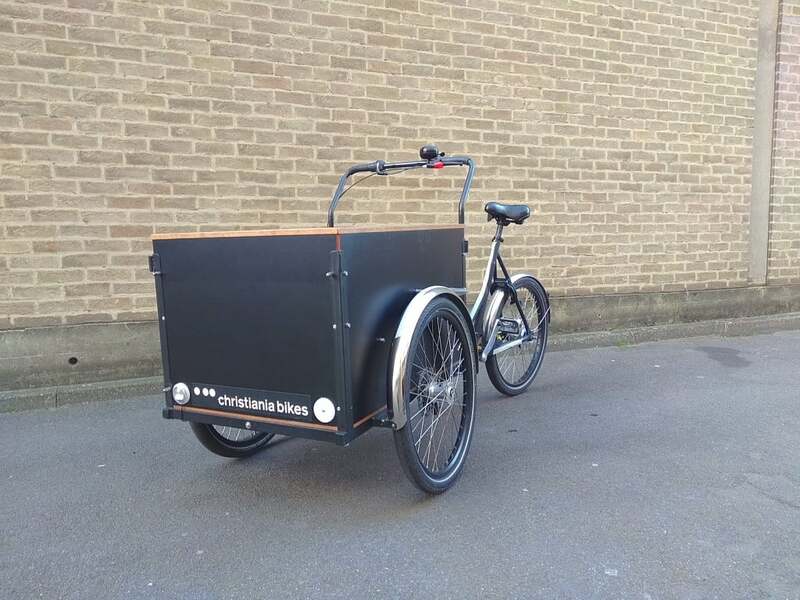 We have a limited number of cargo bikes available for short or long term hire. Fancy trying something different? Give yourself the opportunity to experience the joy and potential a cargo bike can provide. We have a number of cargo bikes and trikes for hire. Try before you buy, or just simply rent one on occasion whenever there is a need. At present, our hiring fleet consists of identical Christiania tricycles that can accommodate up to 4 children, Bakfiets long and short and Omnium. These are also suitable for commercial use as individual bikes or the whole fleet. Think of the possibilities! Take your children’s friends along wherever in London; go out and be amazed by the lovely lit London streets without the hassle of busy public transport; enjoy a winter picnic in your favourite park with your mate; do all your Christmas shopping at once without worrying about how to carry it all back. Endless list of reasons, come on, try it! Buying a cargo bike is a big decision (although undoubtedly one of the best decisions you’ll ever make) so if you’re considering a purchase but are still unsure, we are here to help. Try your usual routes, check the parking, see how it works for you, this experience is priceless. We’ll provide all the necessary accessories and equipment to get you around safely and happily. The cycles for family use come with seats and safety belts, and all are provided with rain covers to keep your precious cargo protected. We can supply helmets, locks, and lights and we’re happy to answer any questions or address any concerns you may have. For those unaccustomed to cycling in London, we know it can seem a bit worrisome, but rest assured that a cargo trike or cargo bike are one of the safest cycles to ride. The size attracts more attention so drivers will give you more space. Find out more about the difference between two and three wheels. Don’t take our words for it, try it yourself!